Karthi has already wrapped up the shoot of his next Kaidhi, while he is busy with the shooting of an untitled project, under the direction of Bakkiyaraj Kannan of Remo fame. Well, the project is having some exciting additions to the cast list. While Rashmika Mandanna was chosen to play the lead lady’s role recently, here comes another interesting update to the star cast. ‘Garuda Ram’, who played an important part in Yash starred Kannada project KGF, is been roped in by the makers to essay an important part in this untitled project. 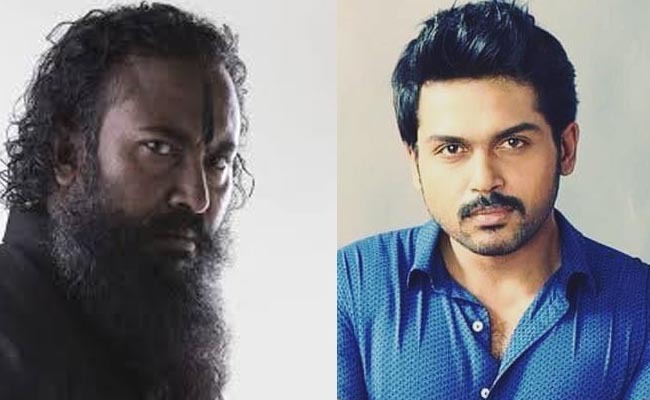 The actor would be playing the main antagonist’s role in this Karthi project and the actor is expected to join the team soon in the coming days. A production venture of SR Prabhu and SR Prakashbabu under the banner of ‘Dream Warrior Pictures’, the movie’s musical chords would be composed by Vivek – Merwin duo.